Hampers are filled with fun baby gifts. A baby hampers delivery is a gift that you can fill with fun baby gifts like plush toys, cute fabric books, personalized baby items, and many more. When it comes to fun baby gifts, the flower shop has wide selections and varieties to choose from. Hampers are filled with useful baby gifts. Another great gift for this joyous event is a hamper filled with basic and practical baby gifts. It can be filled with a wide variety of newborn baby gifts like baby feeding bottles, baby diapers, baby clothes, baby bibs, and more. When you send these baby gifts to your dear friend or sister on baby showers, you can be sure that the items are fit for the baby’s daily essentials. Hampers are filled with unique baby gifts. Many visitors and friends prefer to give baby hampers because one may contain different pieces of unique baby gifts. 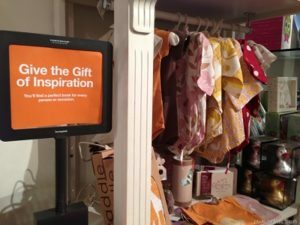 You will find one with packs of diapers matched with Pee Pee Teepees, or sets of blankets matched with swaddles and quilts. There is a myriad of choices for unique items out there for baby shower gifts. 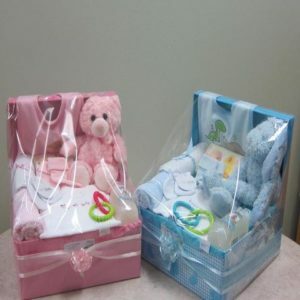 Hampers are filled with special baby gifts. When you want to give special baby gifts for the baby and for the parents, your best option is to give a hamper. This is because you can fill a baby hamper with gifts like personalized picture frames, special baby keepsakes, baby blanket or towels printed with the baby’s name, and different special items. The baby has to have the best items from day one onwards. The parents may have prepared everything for the baby from the daily essentials to baby furniture to equipment. On the other hand, you can also add some to those items by giving Baby Hamper of fun and unique items, as well as useful, practical, and special items as your baby shower gift. These gifts will surely express your concern and thoughtfulness.